Need a few fun activities to get you through the rest of Screen Free Week?? Here are some of our favorites to get you off the couch and outdoors! Basketballs are soooo over-rated. 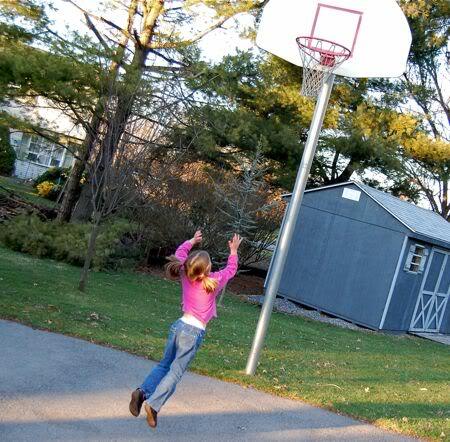 What you really want to do is play a game of Invisible Basketball — lots of fun!! One of our favorite outdoor activities — Story Stones and Sidewalk Scenes. A great imaginative activity to build storytelling skills! 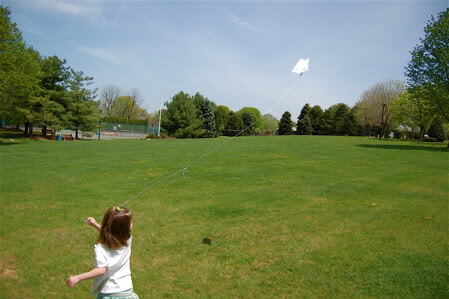 Build and Fly Your Own Kite — These kites are simple (and super-frugal) to make, plus they really fly!! Mother’s Day is quickly approaching, so why not craft up a few lovely gifts for Mom?? 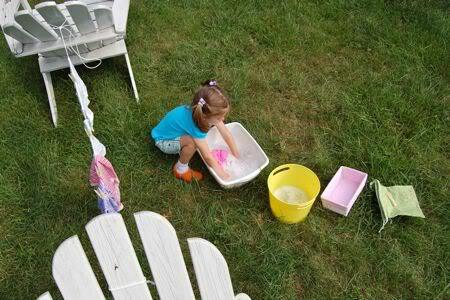 Laundry Day Fun — There’s always laundry to be done, but it becomes a lot more fun when the kiddos can wash some of their own outside! 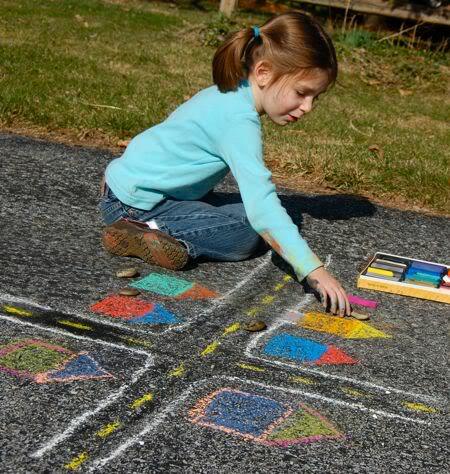 I love the story stones and sidewalk chalk combination! My favorite is laundry. Perhaps I can give a washing machine a break 🙂 It looks like we are on screen-free month, at least for daughter. Ooohhhh, just found my kids activity for the rest of the afternoon…… Laundry. Awesome ideas. I assume no TV at your house this week!